I have received a letter from the council regarding the Miller Homes application for more housing to the top of the estate just off Warwick Road, next to Drayton Golf Club. Cherwell Council have withdrawn their reasons for appeal based on the recent Deddington homes decision. Therefore it would appear this application will most likely (though not definite) be passed. The hearing which is scheduled for 10.00am on Tuesday 14 January 2014 at the Council Chamber, Bodicote House, White Post Road, Bodicote. Will only proceed for 1 day instead of the original 5 days. Hanwell Fields will now be expanding by a further 300 houses. Can we all just thank the council for being overwhelmingly useless. The blame for any of the passed housing, not just around Hanwell Fields but around Banbury falls 100% on their shoulders. If the likes of Cllr Gibbard and the incompetant planning department had done their jobs correctly and produced a viable plan (thinking about it they needn’t have even made it viable) then a lot of the housing would not have been allowed. The only reason all the housing has been passed is because of the lack of a local plan. Cherwell Council have made very serious mistakes in this regard and as such I would like to see resignations from Gibbard and the planning department. Miller Homes have appealed the Cherwell District Council decision over the refusal of developments on the Warwick Road, next to Drayton Golf Club. A hearing will take place on the 14th January 2014 with the planning inspector prosiding over the decision. This take place at Bodicote House, Banbury and is expected to last 5 days. Having seen recent decisions over Deddington, Saltway, Bloxham and Hook Norton, one can only assume this will be given the green light also. The only people responsible for such decisions is purely Cherwell District Council because of the incompetency of the planning department and the planning committee to produce a Local Plan to any sort of standard and within realistic timescales. Their failings are our suffering. For those that have not heard about the latest situation regarding planning around Banbury, the developments in Bloxham, Saltway and Hook Norton have been appealed and overturned by the Secretary of State, Mr. Pickles. This is a scandalous result for the residents of Banbury and more importantly for those communities that will be effected….much like our’s. However the likes of Cllr Gibbard and the planning department are completely 100% to blame for this. They have been working on the Local Plan for 7 years and it’s still a complete disaster. If these people were in a real, private sector job they would have been dismissed by now. They have failed us. For the past 18 months HFDAG have repeatedly told CDC about their Draft Local Plan, we have told them their numbers are wrong, we have told them the whole plan is wrong. We now hear that North Warwickshire has had its Local Plan dismissed by the planning inspectorate because their data is out of date, well CDC is basing their figures on even older information which means it’s inevitable that the CDC plan will also be rejected, or delayed until a more up-to-date version is created. Therefore the developers can appeal a decision on the basis that the Local Plan is not fully implemented. Erik Pickles then asks the district council for proof to reject the plans. They can’t, so he has no choice but to pass them. It is for this reason and this reason alone that CDC should be held accountable for their incompetence and their failure to deliver. This now leads me on to other news regarding the Miller Homes Development on West of Warwick Road, They have now lodged an appeal to Mr. Pickles, given the recent results of other local appeals why wouldn’t they. In all honesty they’ll probably win. So I can see us getting more housing besides BAN5 and BAN2. Perhaps (a big leap in faith, I know) the developers may hold off on BAN2 at least. That seems like the least likely to make it through to development. I have been told that work has started on the Bankside development, which I believe they have started now because other builders are getting permission, but who knows. As yet still no sign of an application from Amber Developments for the field opposite Winter Gardens Way. Brilliant news BAN5 has officially been deferred. The main reason’s are; It was a premature application, meaning it has been submitted during the Local Plan whilst it’s still being considered. The council has the right to defer the decision as they could argue they haven’t agreed the areas in which to build. Only because the submission of the local plan is imminent and out for public consultation are they able to do this. Any other time it would have been accepted. The second reason is the boundary. As we highlighted to them they deferred a similar application to the south, the BAN5 application was identical to the same reasons they gave for rejecting Saltway in November (also including prematurity). According to the press, public pressure made them realise they needed to act and defer the plans. However this doesn’t mean it won’t get the go ahead. This is where Antony’s numbers plays a considerable part. As you are aware we are currently trying to prove that CDC have made a big mistake in the planning numbers. IF we can get them to see that we are correct, they may reconfigure their numbers. So what next…The local plan has to go to the secretary of state who will appoint a planning inspector. The planning inspector will hold a hearing at CDC offices. I have asked if I can speak to him to put our case forward. He doesn’t have to see me if he doesn’t want to but let’s hope he does. The inspector will look at the plans that CDC have submitted and they will decide if the Local Plan is valid. They could change everything CDC has suggested in terms of numbers and locations or they could agree with them and approve the plan, which in turn will lead to persimmon building on BAN5. However the deferment gives us a bit of time to gather information, prepare to fight further and gain interest. I have forwarded on the numbers presentation to other groups around Banbury to get their views but also to see if we can, as a much larger group, encourage the council to reassess these numbers. If the numbers come down then so does the demand for building houses. The problem being the developers read the local plan and see that CDC are suggesting they are short and therefore more housing is needed. The developers all quote the same thing…our houses will help CDC fulfil their housing need. Thanks to everyone that submitted a reply to the council, it was only from this pressure that they gave in. Following on from the meeting we had with the councillors, they have suggested our numbers are not great enough. I ask you all to encourage people to join the group, we need as many as we can…. We are looking to start a petition around the estate, which Moira will take lead on. So we are looking for volunteers to help go around Hanwell Fields to get signatures. If anyone can spare just a bit of time to go door to door that would be really helpful. Please email admin@hfdag,org.uk if you can help. I’ll get the sheets printed so don’t worry about that, Moira will liaise. We are also looking at putting together a few events to raise awareness of the campaign, more news to follow on that. After a successful meeting on the 11th May with some of councillors, I’d just like to thank everyone that attended. I was pleased to see the passion that people put in to their questions. The councillors must realise that we are upset about these developments and that they really need to start to listen. As requested please find copies of the presentations that we put forward. Admittedly mine ended up being cut short mostly down to time but also because others had asked similar questions. A full analysis of the meeting with be discussed and then published. 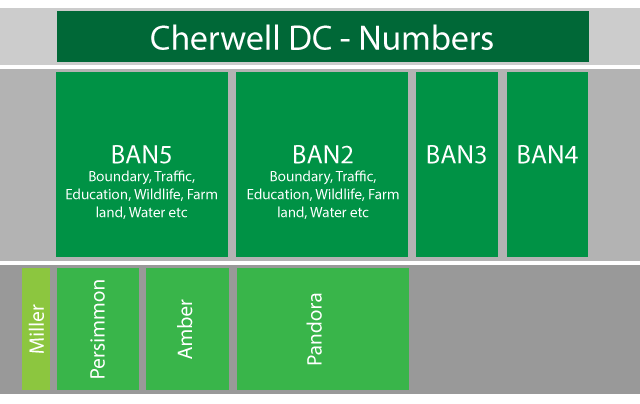 Things are picking up a pace, Cherwell Council are sticking to this ludicrous idea of planning numbers by insisting the local plan is based on the old, out of date SE plan. This actually says a whole lot more about the council as much as their policy. They are infact the ones that are out of date. What we want to see is a clearly defined local plan that CDC can say with validity has been produced using the right methods, with the right skills for the right reasons. As we have said time and time again the latest NPPF does not require such a number of houses over such a period of time. Using the NPPF, as they should, CDC only need to produce a small local plan which shows Bankside and Canalside. (these site constitute 12.6 years worth of housing). Our Latest Press Releases say it all.